On behalf of Gywneth Armstrong, who received the Tobago Medal of Honour (Gold) for distinguished and outstanding service to Tobago in the sphere of Music, niece Merna Edwards receives the award from Chief Secretary Kelvin Charles at Tuesday night’s Tobago Day Awards ceremony hosted by the Tobago House of Assembly at the Auditorium of the Shaw Park Cultural Complex. Tobago’s progress will not come through inertia or “doing things the same way we have always done them,” but by a transformation of one’s mind and heart. So said Chief Secretary Kelvin Charles in his address at Tuesday’s Tobago Day Awards ceremony hosted by the Tobago House of Assembly (THA) at the auditorium of the Shaw Park Complex. 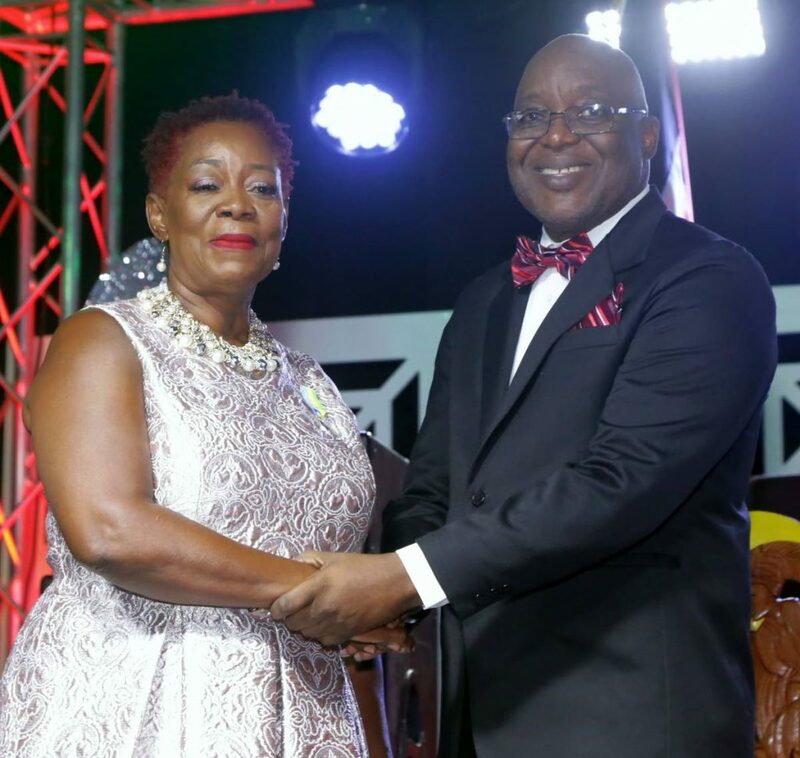 This year, with the theme, “Tobago…Never Settle for Ordinary,” was held as the island celebrated 38 years of the current incarnation of the THA, established through Act 37 of 1980 and amended by Act 40 of 1996. “Progress of Tobago can only come through metanoia, a transformation of one’s heart or mind,” he said. “Let us recommit or in some cases commit to loving Tobago. We must challenge ourselves to a new level of patriotism for this island and by extension our beloved country. It cannot be that those on the outside who visit our shores see more value and have greater appreciation for our own land far more than we do. “Needless to say, we do not have a perfect island or country and most certainly there are many things we can do better or should have done better. We must be determined to ensure that our shortcomings or even our failures as a people, should not hinder us from saying, ‘I love Tobago’ and truly mean it,” he said. In terms of politics, he urged Tobagonians to not settle for ordinary in matters of governance. “You are the employers of us politicians. You have a duty and responsibility to collaborate with us as we seek to transform this island through stronger communities, loving, stable families, a flourishing agriculture sector and a booming tourism sector and a robust education system - to hold us accountable while in office. Chief Administrator and Chairman of the Tobago Day Awards Committee, Raye Sandy, in his address, said the event can be seen as a beacon in a world that some view as darkened with negativity, hopelessness and despair. “As a progressive people, we must rise, shake off the negative shackles that tend to burden us and work to enhance the elimination of that beacon with hard work, dedication and commitment. “Individually, we must let our lights shine, so that collectively we can dispel the darkness hovering around us so that men and women can see our good works and associate themselves to our positive contributions and determine to do better for the benefit of ourselves, our families and our community and neighbours,” Sandy said. He said the awardees have made their mark, not to receive public adoration for their contributions but to give of their best in the field that they chose or perhaps destined to lead. The awardees represent the good citizens that persons must emulate, he added. Martha Arche r- Tobago Medal of Honour, Silver, for long and meritorious service to Tobago in the sphere of Sport. Kenneth Washington - Tobago Medal of Honour, Bronze, for loyal and devoted service beneficial to Tobago in the sphere of Community Service. Royal Sweet Fingers Tambrin Band - Tobago Medal of Honour, Bronze, for loyal and devoted service beneficial to Tobago in the sphere of Culture. 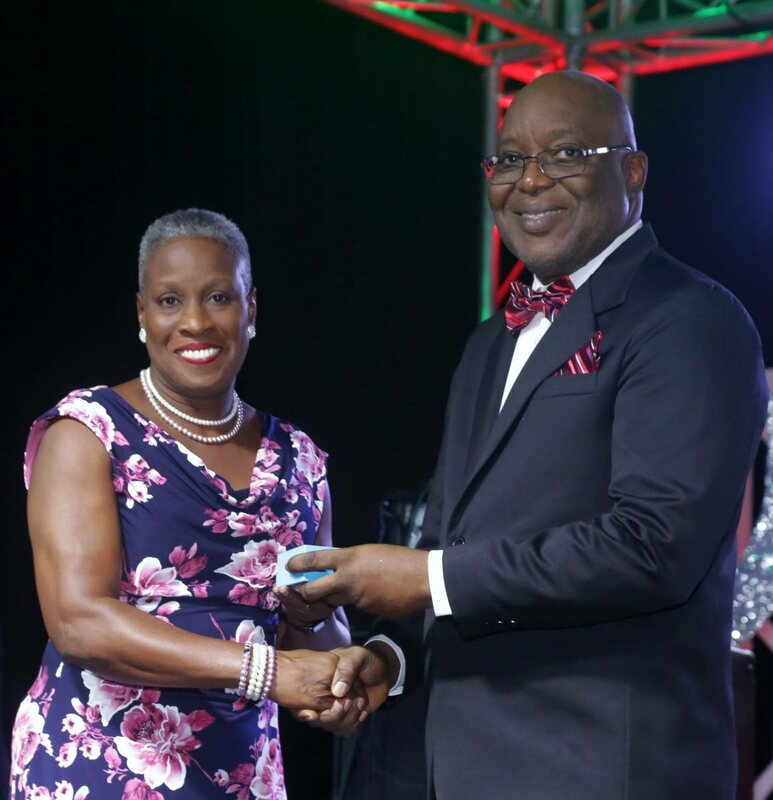 Korice Archer-Quashie-Nancis - Chief Secretary’s Award for Outstanding Contribution and Significant Achievement in 2018 in the sphere of Women’s Health Awareness and Advocacy. Reply to "Love Tobago more"